Some love them, some hate them. 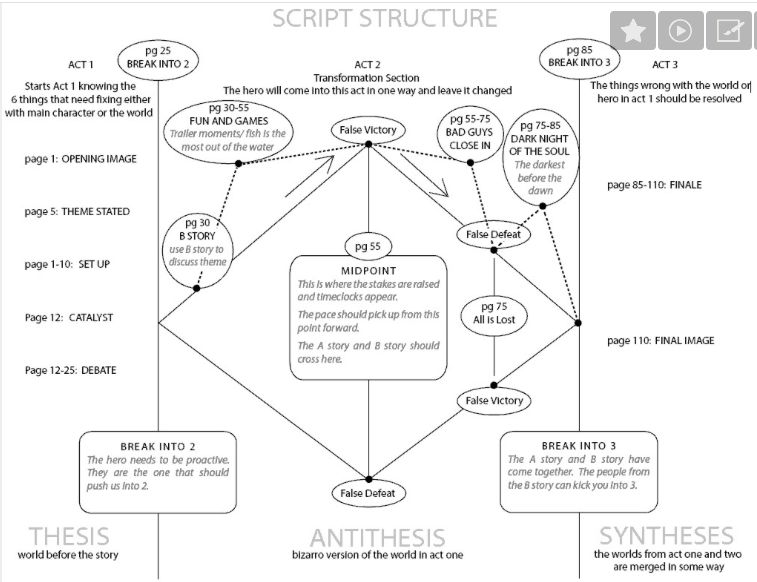 The whole concept of a screenwriting manual is nonsense for many. Some others follow every bit of information like a divine law. 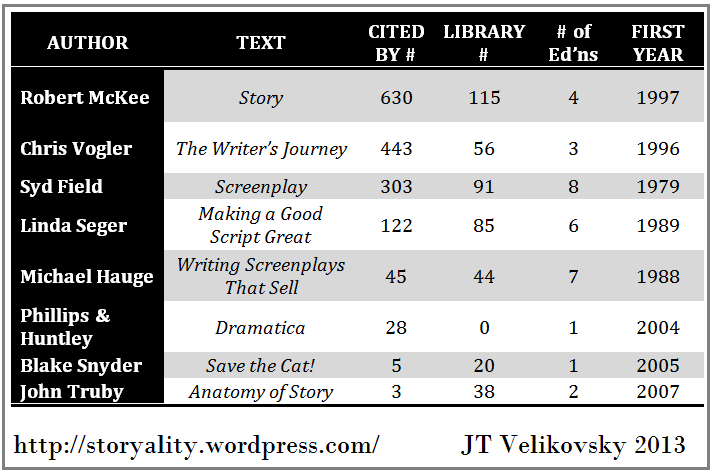 I think both are partly right and partly wrong on the Screenwriting Gurus. It has always surprised me when I heard someone say that filmmaking (or script writing) can not be taught. My believe is that everything that can be learned, can be taught. But a manual will not write the script for you. The Guru’s books are tools that you can decide to trust or discard. In my case, I admire a few of them, like a few more, and some others I find completely irrelevant. You choose. 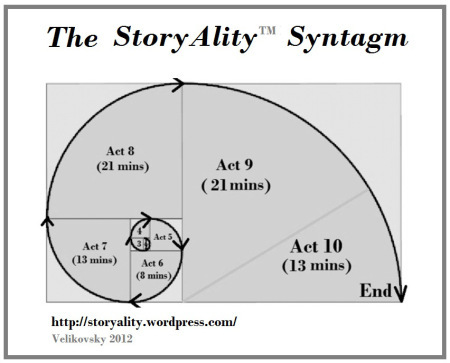 But the characters, the story, tone, pace… are all yours. Nobody will create them for you. But, if I wanted to make tables, I would read everything I could find on making tables. I’d take courses too. I’d built a few to get better. But still I would read everything I found. Because you can benefit from other people’s experiences and you should. There’s a general complaint I hear way too often: with some exceptions, Screenwriting Gurus are not famous, established screenwriters. Does this invalidate what they have to say? If they have mastered the knowledge, why can’t they write a successful script? I think we should check case by case to get a proper answer, but I will tell you mine: you don’t need to be a successful screenwriter to be a great teacher. I was lucky enough to be a student at the London International Film School in the 90s and some of my best teachers were not recognised professionals. And some professionals made lousy teachers. What I wanted was to learn. So, please, get me the best teachers! Field, McKee, Seger, Walter, Hunter… They all have fantastic things to say and you have fantastic things to learn. So use their books for what they are: a magnificent way of accessing their experience. But those books should not lead your life. You make the choices. You use them how you like best, what works best for you. In my opinion, Syd Field’s proposal of creating biographies for each character is pointless, but I will never tell you “don’t do it”. Do it if it works for you. 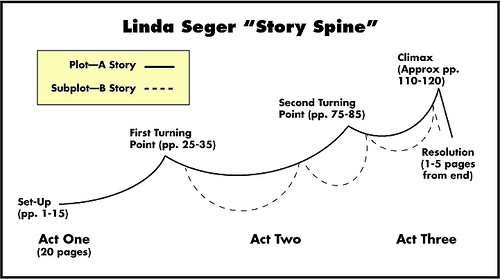 And I have always found something worth in every screenwriting book I ever read. And I’ve read many. 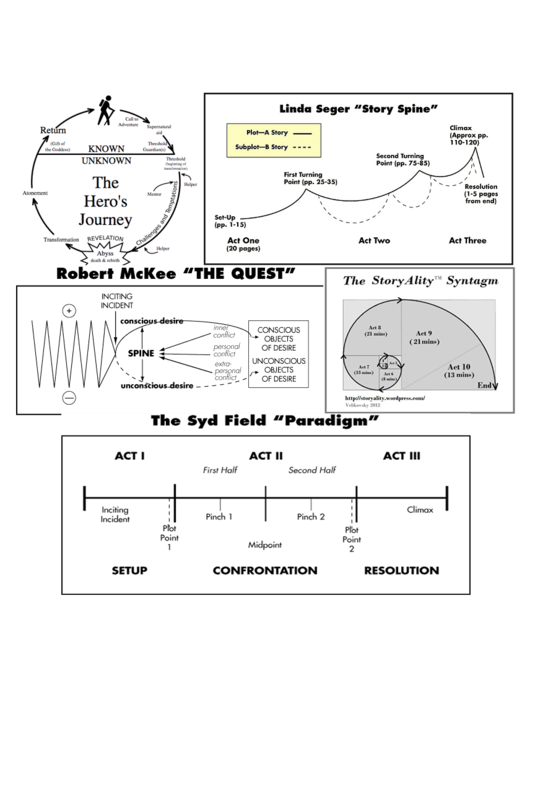 This entry was posted in POSTS on screenwriting, SCREENWRITING and tagged Christopher Vogler, Lew Hunter, Linda Seger, Richard Walter, Robert McKee, Screenwriting Guru, Syd Field. Bookmark the permalink.